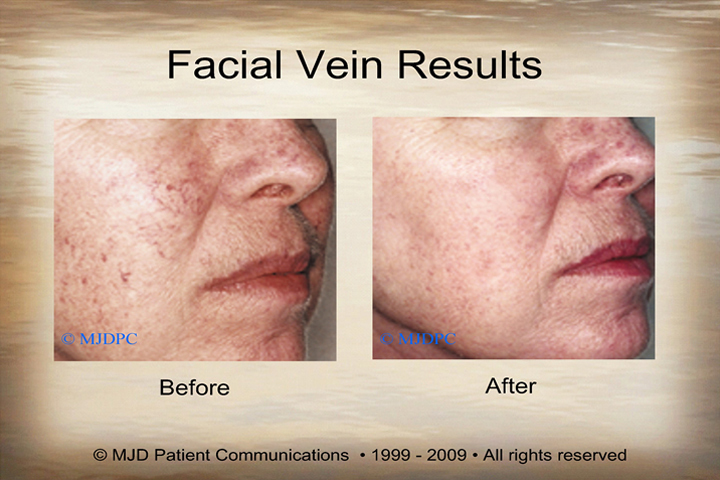 Facial Vein Treatments | Alan Kling, M.D. 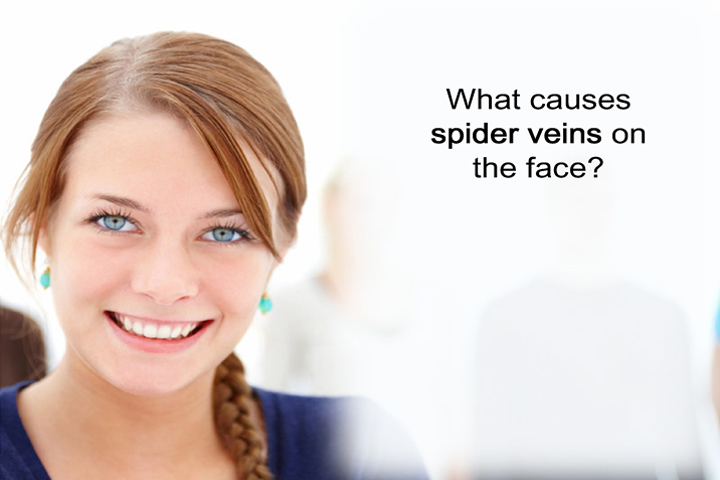 Spider veins don’t just affect the legs and limbs, they also can be found on a person’s face as well, and are much more common that it may seem. 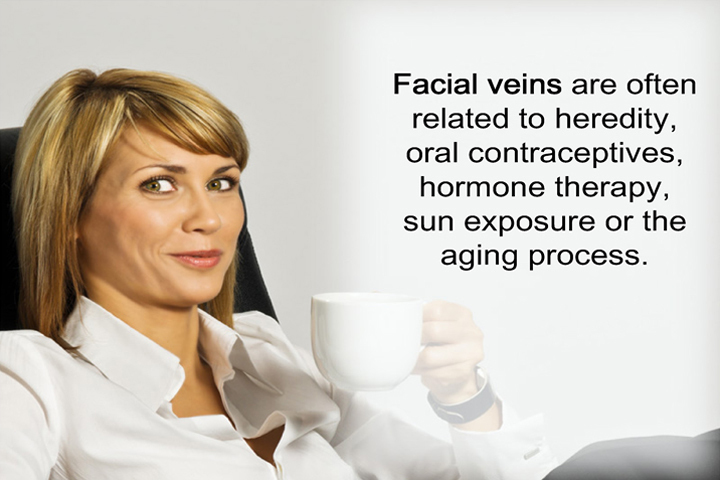 Facial veins are generally caused by genetics, hormones, over-exposure to the sun, other skin conditions. and aging. 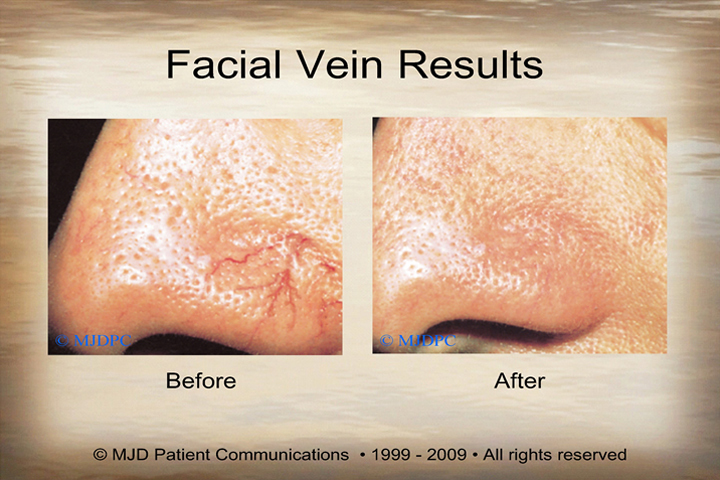 Facial veins are a product of clogged veins or blood vessels. 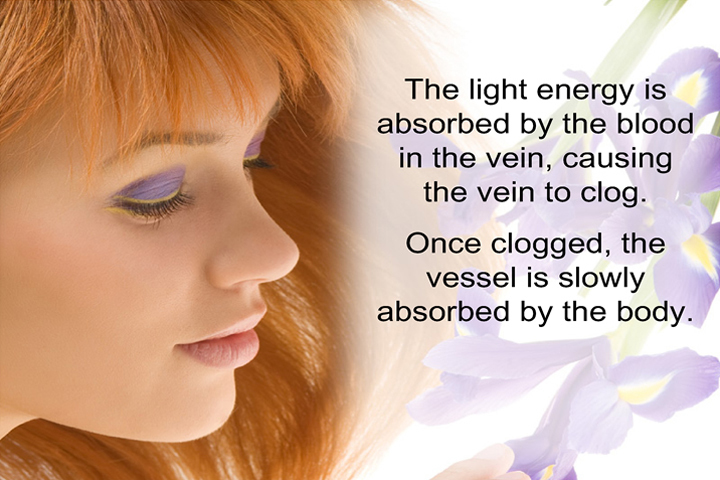 The clogging, causes them to engorge and protrude through the skins surface. 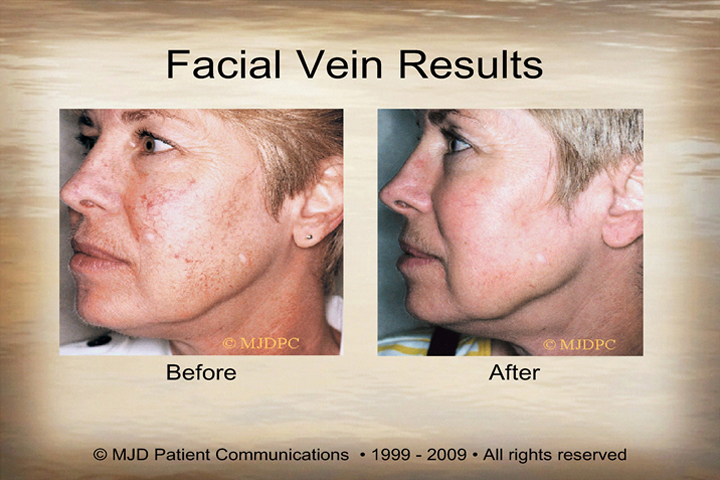 How can facial veins be treated? 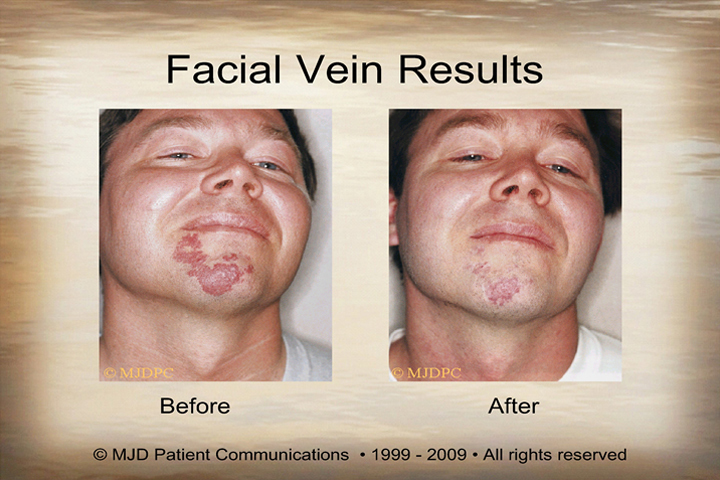 Modern facial vein treatment is generally done through the use of lasers. 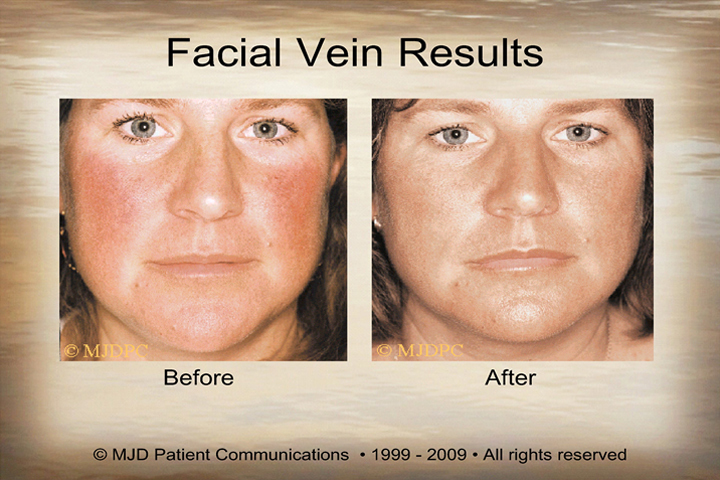 Dr. Kling uses a laser which delivers a precise light beam through the skins surface, directly into the clogged blood vessel breaking up the clog and causing the vein to be absorbed back into the body. 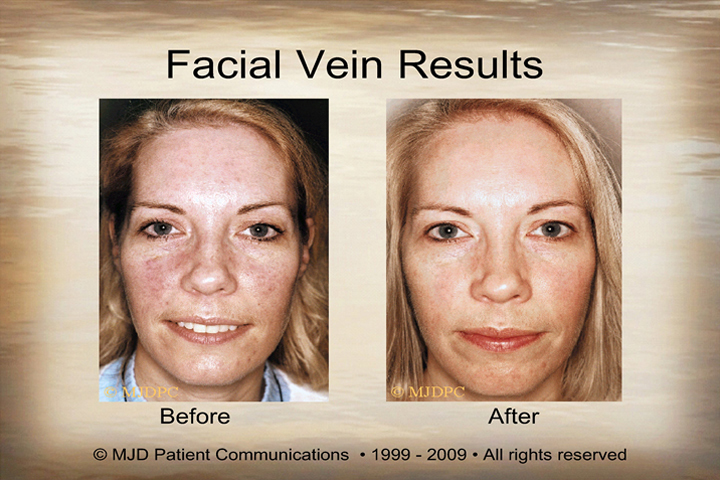 The laser treatment is relatively pain-free and patients often liken the lasers feeling to that of a soft pinch. However, if you have overly sensitive skin then topical anesthetics are available. 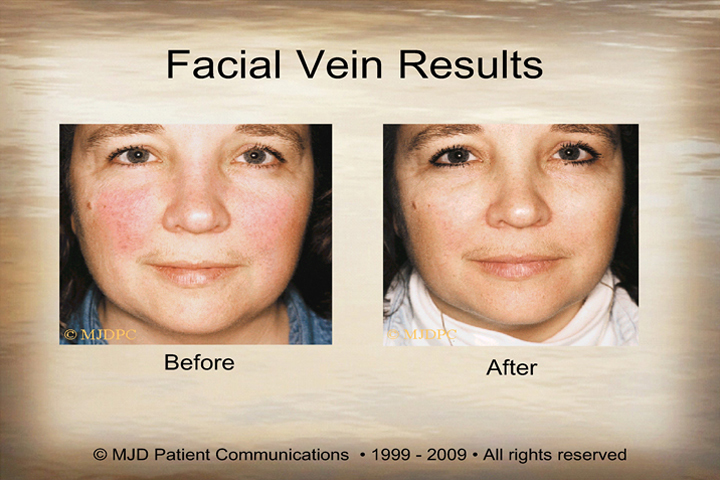 Depending on the area of the face being treated and the severity of the veins in the area, the procedure can be completed from anywhere from a few minutes to several minutes. Typically, Dr. Kling will recommend patients undergo multiple procedures in order to achieve the desired level of correction, 2 or 3, being most common. 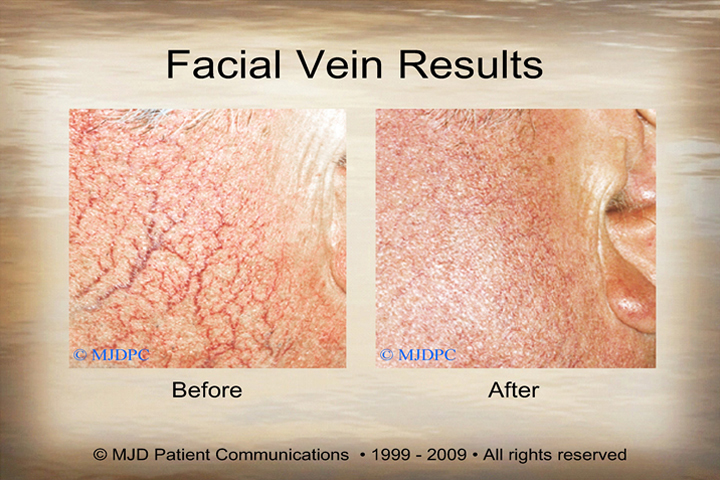 However, in the event that your facial veins are extremely severe and have a deeper, darker color, then more procedures may be recommended. Dr. Kling will make his recommendation during the consult. 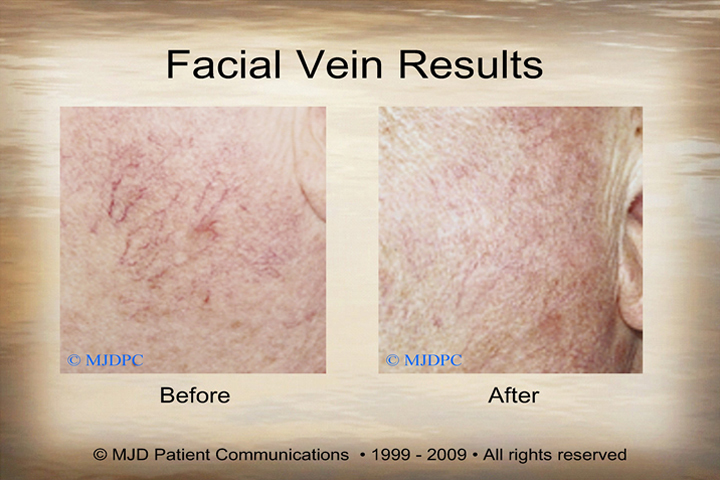 Who is a good candidate for facial vein treatment? 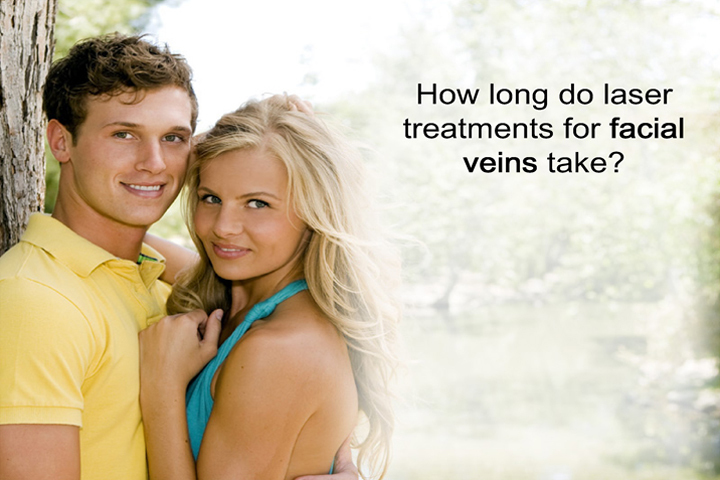 During your consult, Dr. Kling will carefully examine your veins as well as your medical history. 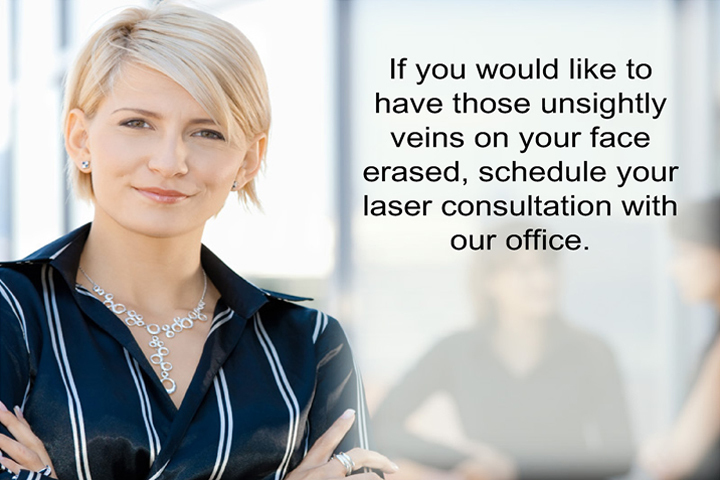 Making sure that you are an ideal candidate for the procedure. 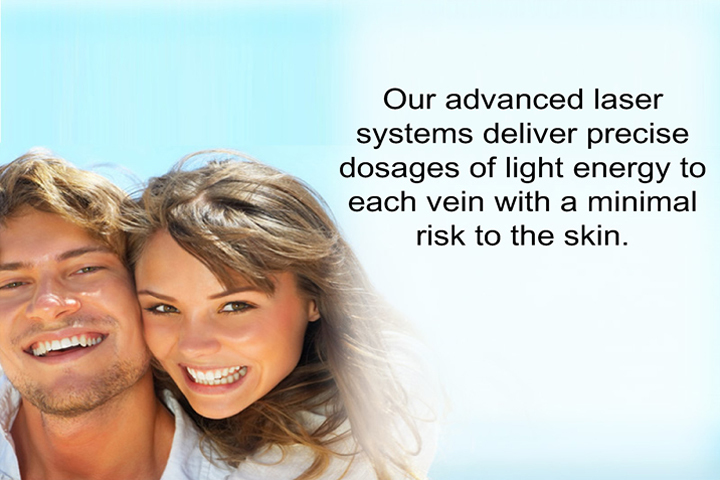 Generally, the laser doesn’t leave any side effects as it is completely non-invasive. Post-procedural discomfort is minimal, depending on what level of procedure Dr. Kling prescribes for your desired correction. 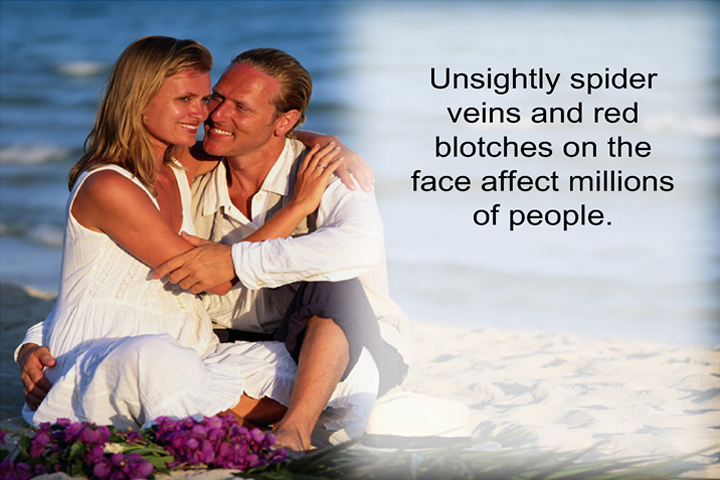 Aside from some swelling, and light redness, you will be able to return to your normal activities immediately. 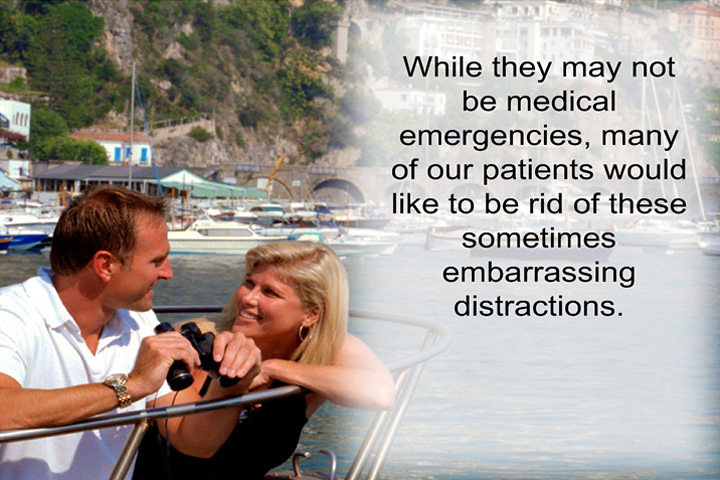 It is recommended that you avoid over-exposure to the sun after this procedure as well as wearing sunscreen.